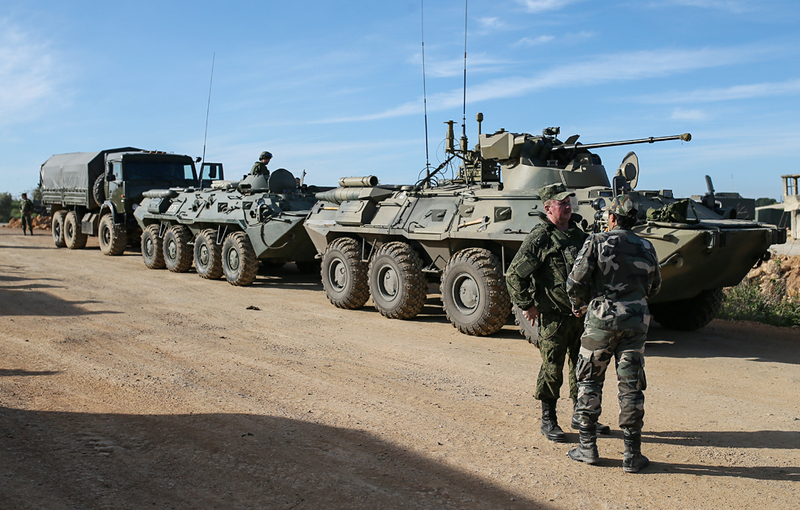 Specialists and military equipment of the Russian Armed Forces' International Mine Action Center prepared to be sent to the Syrian city of Palmyra from the Hmeimim airbase, April 2, 2016. Russian armed forces in Syria have tested a new generation military high-speed internet and communications system, a representative of the United Instrument Manufacturing Corporation (UIMC), the developer of this technology, announced on April 7. The UIMC representative explained that these complexes enable subdivisions to operate in a united information field, including the establishment of a military high-speed internet. "These systems are recognized as reliable and efficient, corresponding to the needs of the modern army," the representative concluded.